In case you missed it, here’s three highlights from Wednesday night’s city council meeting, the first of the year. Derek Ejde was sworn in as the city’s newest police officer (pictured). 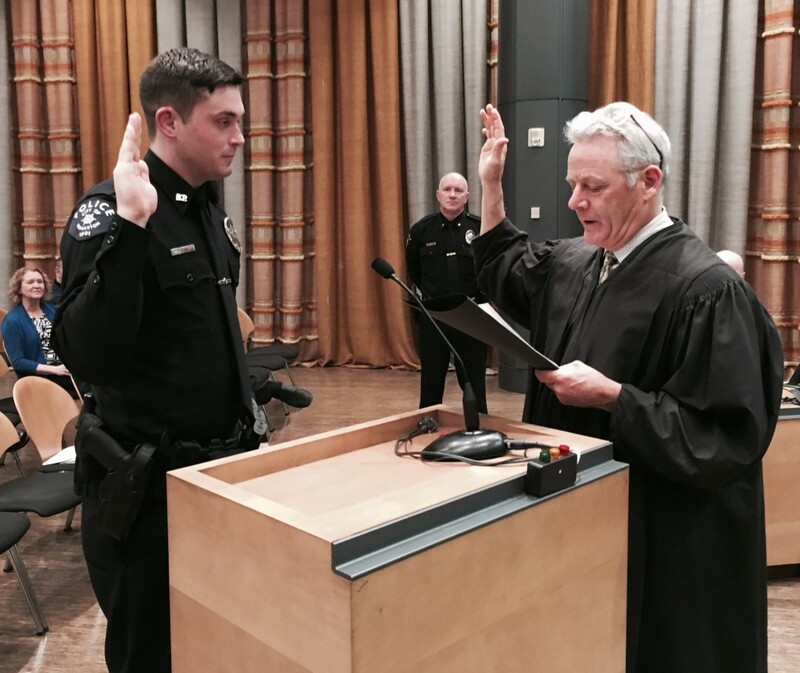 The North Kitsap High School graduate’s brother Jordan is already a Bremerton officer, and their father, Andrew Ejde, was a longtime Kitsap County Sheriff’s deputy. I did a story on the brothers in November, which you can read here. Councilman Greg Wheeler had been president for two three years. But on Wednesday night, he nominated Councilman Eric Younger for the job, and the vote was unanimous. Councilman Dino Davis was sworn in as the Council’s vice president. What does it mean to be the Council’s president? The president, it goes without saying, is the Council’s leader — he or she runs the meetings, appoints members to committees and monitors and approves business on the Council’s agenda. “I certainly have big shoes to fill,” Younger said of his predecessor. Wheeler, who retired from the shipyard this past year, is contemplating a run for mayor in 2017. Mayor Patty Lent said she intends to run, setting up a possible showdown between the two for the city’s top job. 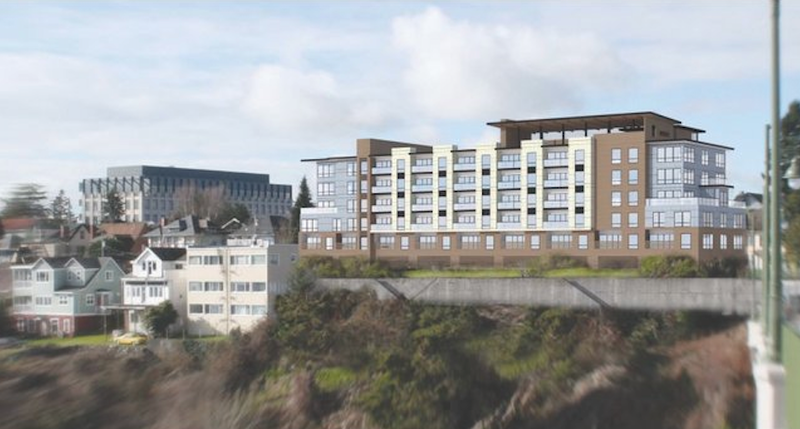 Bremerton Mayor Patty Lent presented a laundry list of projects occurring around Bremerton in 2016, including the new Chung’s Teriyaki restaurant, Spyglass Hill apartments, Carl’s Jr. restaurant and several others. She mentioned that Bremerton’s community development department issued a record 683 permits worth $81 million in projects in the city in 2015. She also noted that 40 of the 71 units of the new 606 Apartments in downtown Bremerton have been rented. Lent also predicted she’d work well with the Council in 2016. “We’re going to be in stride and marching to the same drumbeat,” she said. She also introduced interim Bremerton Parks Director Jeff Elevado. Elevado, who replaces a retired Wyn Birkenthal, has been with the parks department in 1981. “We do have our challenges, but we find ways to get things done,” Elevado said. Yes a new President of the city council that will sell out more transparency than the last one. Hold on to your wallets Bremertonians!